The United Methodist Church is a creedal church? This afternoon an obscure subject came up in a small group discussion at church, whether or not the UMC is a creedal church. I use the word “obscure” because I think the vast majority of lay people do not hang their hat, so to speak, on determining once and for all a “yes” or “no” answer to this question. However, I think many people are concerned (and should be) about the issues entangled in addressing this question. For neither does religion consist in Orthodoxy, or right opinions; which, although they are not properly outward things, are not in the heart, but the understanding. A man may be orthodox in every point; he may not only espouse right opinions, but zealously defend them against all opposers; he may think justly concerning the incarnation of our Lord, concerning the ever-blessed Trinity, and every other doctrine contained in the oracles of God; he may assent to all the three creeds, — that called the Apostles’, the Nicene, and the Athanasian; and yet it is possible he may have no religion at all, no more than a Jew, Turk, or pagan. He may be almost as orthodox — as the devil, (though, indeed, not altogether; for every man errs in something; whereas we can’t well conceive him to hold any erroneous opinion,) and may, all the while be as great a stranger as he to the religion of the heart. Does the UMC use historic creeds? Yes, clearly. Do the creeds inform Christian faith in important ways? Yes. Are the creeds, namely the Apostle’s Creed, integral to the membership vows of the UMC? Yes. 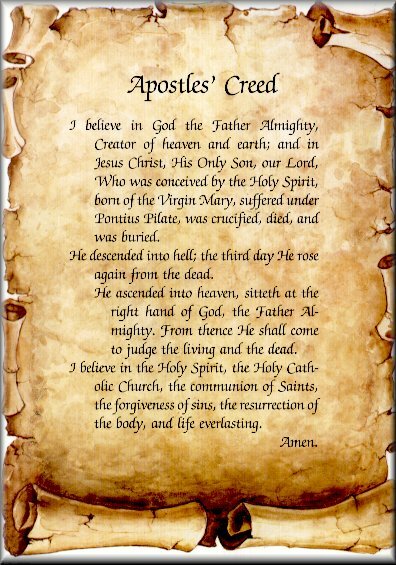 All of these things and more are true, but they do not determine the UMC as a creedal church in the sense described in the Catechism of the Catholic Church, for example. I suppose, in the end, it depends on what meaning and theology one wants to pour into the word “creedal.” If we mean by the word creedal that “the UMC is a creedal church” in that creedal acts as an adjective to simply describe one facet of the UMC, that is that the UMC uses and highly values the creeds, then the answer is yes. On the flip side, if we assert that “the UMC is not a creedal church” for the reasons I have given here and to communicate and properly emphasize Christianity as a “religion of the heart,” as did Wesley, then the answer is no. This is why I assert the UMC is not a creedal church because I believe most people have some conception of the phrase “creedal church” along the lines of the Roman Catholic Church’s understanding. Read this essay for a good explanation from a different point of view of why the creeds are important and how they function to maintain a local church community.